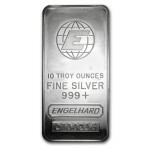 Are you on the hunt for the best deals to buy or sell silver bullion in South Florida? William Youngerman is an expert when it comes to coins and silver bullion. With William Youngerman, you can count on buying silver bullion at an unbeatable price, selling silver bullion at the best offer, and trading valuable silver bullion! Want to Buy or Sell Silver Bullion in South Florida? William Youngerman is the best of all silver bullion and silver coin dealerships in South Florida. You won’t find any better deals for silver bullion and coins than the ones offered by William Youngerman. To find the US silver bullion coins you have been searching near and for for, turn to William Youngerman. 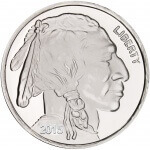 Offering the widest selection of silver bullion and silver coins, William Youngerman is able to provide what you seek! Not only this but William Youngerman will even buy silver bullion from you or trade silver bullion coins with you for the best deal you will be offered. Whether you are a collector looking for a specific foreign silver bullion coin or just so happen to have come across a unique silver bullion coin from another country, you head over to see William Youngerman for foreign silver bullion coin purchases, trades and offers. With an interesting selection of silver bullion coins and offers for any silver bullion coins you have from a foreign country, you can trust in the expertise of William youngerman to help you both benefit! For rare silver bullion coins at prices you won’t find anywhere else, head over to William youngerman who can provide the best deals in all of South Florida. William Youngerman also wants to buy your rare silver coins at prices that other silver coin dealerships won’t even dare offer! 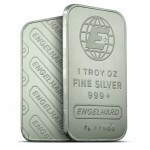 When you are looking for silver bullion bars in South Florida, the person to meet with first is William Youngerman. 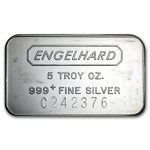 you will find the most intriguing silver bullion bars offered and if you have silver bullion bars you would like to sell, you won’t find a better deal than with William Youngerman! When you are trying to purchase silver bullion, silver coins, and silver bars, you can trust in William Youngerman to provide the widest selection with the greatest offers. Even when you want to sell your own silver bullion, you can head over to William Youngerman first because no other silver coin and silver bullion dealership in South Florida can beat the deals!